Bou loves the floating library. But – oh no! – his favourite book is missing. Who could have it? A wonderfully vibrant picture book for young children about two of the best things in life – books and friends! 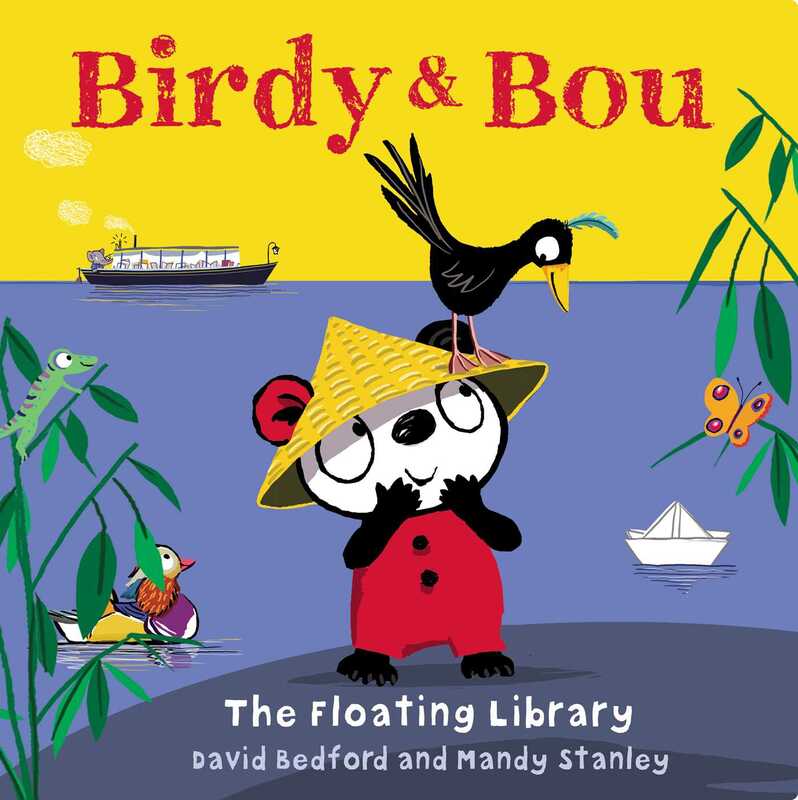 Bou the red-eared panda wakes up one morning and hears the toot-toot of the floating library. He's excited to go and borrow his favourite book and rushes to the library boat, only to find that his book has already been lent out. He sets off to find whoever has borrowed it so they can share - and in the process makes a fantastic new friend. With artwork in strong primary colours, and a fun, yet simple storyline, Birdy and Bou is perfect for fans of Maisy by Lucy Cousins. Introducing a brand new pair of adorable characters to fall in love with from David Bedford and Mandy Stanley, the brilliant partnership behind Roo the Roaring Dinosaur.